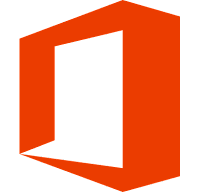 Office 2016 (Office 16) is one of Microsoft's most popular products that provides a complete, cross-platform, cross-device solution for the modern workplace, with smart tools for individuals, teams, and businesses. It can open your applications, documents anywhere, across multiple devices. Microsoft Word 2016 - Word processor. Microsoft Access 2016 - Database management system. Microsoft Excel 2016 - Spreadsheet application. Microsoft InfoPath 2016 - For designing, distributing, filling and submitting electronic forms containing structured data. Microsoft OneDrive for business in 2016 - File-hosting service. Microsoft OneNote 2016 - For free-form information gathering. Microsoft Outlook 2016 - Personal information manager. Microsoft PowerPoint 2016 - Presentation program. Microsoft Publisher 2016 - Desktop publishing application. Skype for business in 2016 - Integrated communications client (formerly Microsoft Lync). Home and Student Edition - Include: Word, Excel, PowerPoint, OneNote. Home and Business Edition - Same as "Home and Student" plus Outlook. Office 365 Home - Best for individuals. works for 1 PC or Mac, 1 tablet, 1 phone. Office 365 Personal - Best for households. works for 5 PCs or Macs, 5 tablets, 5 phones. Moreover, Microsoft offers five Office editions available through volume licensing (more then 5 licenses): Standard, Professional Plus, Office 365 Business, Office 365 Business Premium, Office 365 Business Essentials. * Office 365 is a subscription service that includes the most recent version of Microsoft Office suite, 1TB cloud storage, and Office mobile apps. Disclaimer: Direct downloads for the lastest version of Microsoft Office 2016 Build 1708 (16.0.8431.2079) are provided by the official software's author, we can't guarantee safety, availability or download speed. Moreover, we don't and we won't provide any pirated/illegal versions or tools. We recommend you to avoid it as these methods can harm your device. If you like the software, buy it to support the developers. (We provide software discounts for many worldwide brands).